Getting lost in translation happens to the best of us! It could happen while travelling in a foreign city. It could happen while reading a book from a foreign autoher. Heck, it could even happen between two perfectly normal people speaking the same language! Such is the nature of life, but thankfully, mobile apps offer a solution to this inconvenience too. Translation apps are aplenty in both Google Play and the Apple App Store, and they are only going to get better as language processing becomes more adept and sophisticated! For now, though, a simple but reliable dictionary with voice input and output options should do for the majority of users. If that's what you're after, try this collection of five apps (three multiplatform, two Android-only) as a starting point, and venture deeper if you're interested! Not only does iTranslate have a voice input feature that differentiates between different languages, it also has a voice output which lets you hear phrases spoken in different accents by both male and female voices – with controllable speech rate, at that! Unlike most translator apps that give you only one result per translation, this one knows that words and phrases often have different meanings which depend on the context. iTranslate gives you dictionaries for many languages, letting you find the exact solution to your problem. There's also the romanization feature to transform non-Latin languages into Latin characters. It's available for many languages, including Chinese, Japanese, Korean, Greek, Hindi, Russian, and Thai. If putting in text by voice isn't your thing, fret not, for iTranslate is optimized for fast text keyboard input. You can get suggestions while you’re typing, turn your phone to the side and type with both hands with the roomier landscape keyboard, or use swipe gestures for quick copying and pasting tasks. There's also a social component which lets you send translations to your contacts via Email, SMS, Facebook or Twitter. PONS remembers the words you’ve looked up so you can easily and naturally integrate the foreign words you’ve looked up into your vocabulary. Collecting the words you look up in the PONS online dictionaries, the app lets you add any vocabulary you like to the Vocabulary Trainer and tailor it to your individual requirements. The app's methodology adapts to your individual learning level as the built-in Trainer teaches you step by step. There are five different types of exercise that gradually become more challenging as you progress, so you can ultimately master the fifth and most advanced exercise – LexiTest – where you translate vocabulary items without any help. As an alternative to the 5-Exercise mode, you can make use of a traditional Flash Card Mode. It lets you check through all of the items in a lesson to see if you already know them. 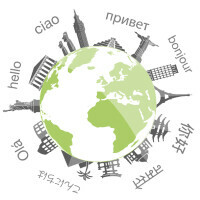 The trainer modes can be used with all of the languages available at PONS.com: English, Czech, Danish, Dutch, French, German, Greek, Hungarian, Italian, Latin, Norwegian, Polish, Portuguese, Russian, Slovenian, Spanish, Swedish, Turkish and Japanese. The app lets you look up words online in over 30 PONS dictionaries. By simply tapping on your looked-up items, you can copy them to your vocabulary trainer together with its translation. This way, you don’t have to be online to practise your vocabulary. The trainer retrieves your current entries and learning levels from your PONS user account (if you have one), so you can use it on your mobile device and on your computer at home. This app is a voice translator that lets you hold a conversation in almost any language. It gives you the option of learning languages by speaking in your native language to translate written or spoken word in another language of your choice. The app supports more than 80 languages and is able to provide voice output in 44 languages. Translate voice is also able to correct spelling, give word suggestion, keep a history log of your latest translations, and share texts directly to instant messengers , social networks, mail, search engines, notes, and other apps you have installed. It will also remain "completely free, forever". Language Translator is designed for translating texts fast in your phone or tablet. It has a simple interface and is optimized to give out translations in a near instant. It also gives you the possibility to copy and delete translated text with just a single button tap. The app can translate from 90 languages and accepts voice input. You can also listen to the translations it makes for you. However, the app requires an internet connection to function, which could make it impractical when travelling abroad. Of course, no selection of translation apps can be complete without the ubiquitious Google Translate. It can juggle translations between 90 languages, use your smartphone or tablet's camera to translate text from signs and other objects in 26 languages, offers two-way automatic speech translation in 40 languages, and vice versa. For many of you, this could be the last translation app in your life. Additionally, G-Translate lets you download language packs on your phone so it can operate offline, and star and save translations for easy future reference. Apr 04, 2016, 8:11 AM, by Mihai A. Try microsoft.Translator. One of the best.